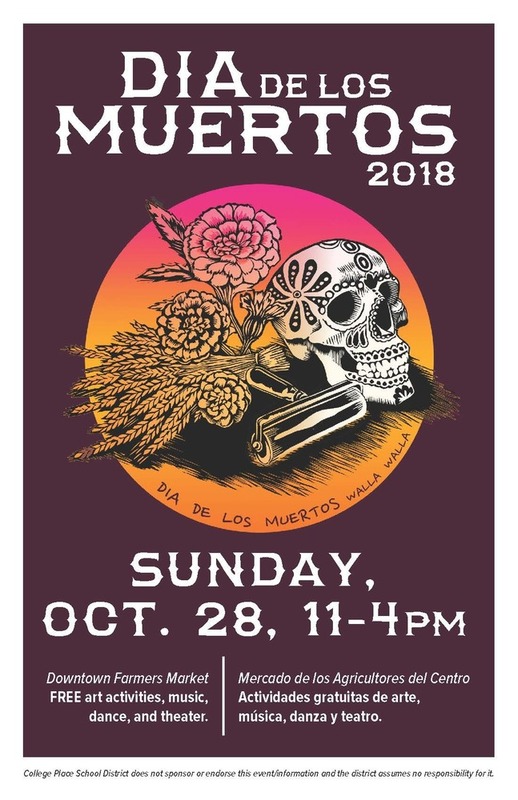 Plan to attend the Annual Dia De Los Muertos! It will be held at the Walla Walla Farmer's Market on October 28th from 11:00 am - 4:00 pm. There will be arts, music, dance, and more!